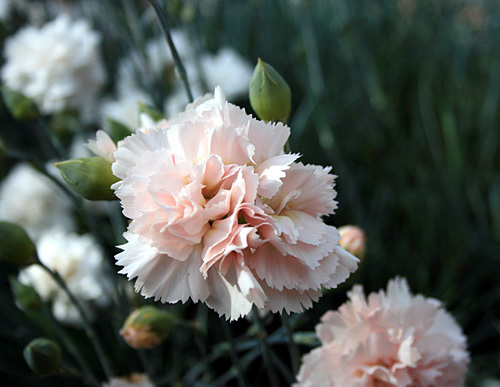 One flower group we really love to grow in the garden are the Carnations. It’s such a hardy group of plants and so versatile. We plant our carnations in the borders, in pots on the patio, and in the cut flower garden so we have a steady supply of beautifully scented flowers for the house. They seem to be happy in pretty much any soil from what I read, but fortunately they’re happy in the dry conditions at Blackbirds. There are literally hundreds of varieties, but I have been growing the same variety for the last 15 years which flowers mainly white, but does also send out a few blooms tinged with the most gorgeous pink. Unfortunately over time I’ve lost the name of the variety, but what I do know is they just keep on flowering, right through from May to October, and beyond (if we have a mild Autumn). Providing you keep picking the flowers and regularly dead head, they will keep producing good size blooms. 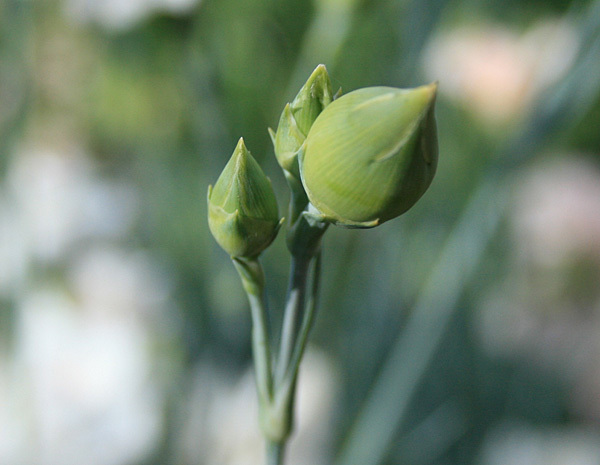 If you want the larger single stems of blooms that you typically see in the florists, you’re going to need to pinch out the two smaller buds on either side of the main flower bud. A bit of a fiddle but worth it in the end. 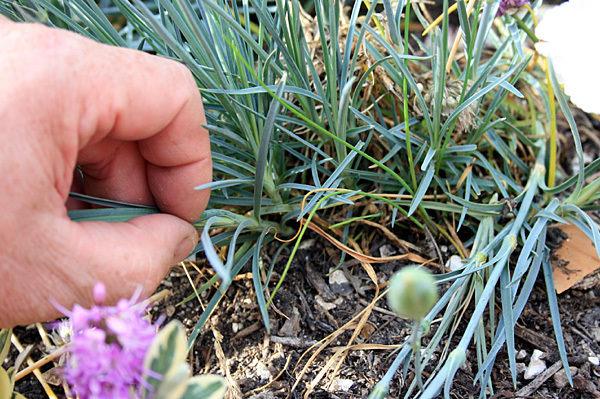 Carnations and Pinks are really easy to propagate, and once rooted will live happily through the winter with just a little protection from the worst of our winter weather. They do suffer a little frost damage, but I always grow a few extra plants, just in case. 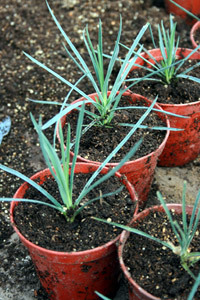 Simply pull off a few of the side shoots that grow around the base of the plant, preferably first thing in the morning. Strip away a few of the lower leaves to leave a clear piece of stem at the base of the cutting, approximately 2 inches in length should do it. I always dip my cuttings in an organic rooting compound to give them a fighting chance of success, then plant about 5 cuttings around the edge of a 3 inch pot. I use a basic mix of 50/50 John Innes number 3, mixed with sharp sand for my cuttings. Water them in well and place them on a sunny window sill or in a cold frame, and in around 4-6 weeks they will have rooted, and will be ready to be potted on. I use John Innes number 2 as a base into which I add a few handfuls of sharp sand. The John Innes provides just enough nutrient until it’s time to plant out. Above all provide good drainage as they hate sitting in wet soil. I prepare the ground with a little extra general garden compost and at the same time work in a few good handfuls of sharp sand. For maximum effect I tend to plant out in groups of 3, 5 and 7 in a diamond shape. Not sure why, but the odd numbers always seem to produce a great show. So, next time you’re thinking about what to plant in your borders, or looking for something different to fill your patio pots, do give Carnations a thought. They will repay you many times over, and of course there is always the gorgeous heady scent, a much needed tonic when you return indoors after a busy day in the garden.